Facebook gives you a lot of features to socialize with your friends and family. It gives you latest news and updates about them, and also lets you interact with them and connect with them on a whole new level. It is said that music is one of the most powerful ways to connect with others. Be that as it may, music is also the most fun way to connect with your buddies. People enjoy music in real life when they are alone, but not as much as they enjoy it when they're with their friends. 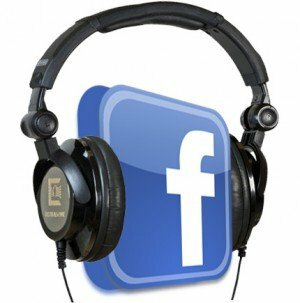 Since Facebook is all about sharing real life events, what if you could share your music-listening experiences with others as well? And we're not talking about posting YouTube links on your wall here. Along with these, there are two more popular service that have recently surfaced. Slacker and Deezer. Since this is a very popular and traffic-lucrative idea, a lot of scams have also begun to surface. For example, in my research for this article, I came across multiple apps that required me to turn off secure browsing. Now agreeing to that would be voluntarily handing over your information. We talked more about this in our post on how to beef up your Facebook security. Secondly, most of these apps are not available for every country. So people who don't have access to this feature feel really left out. These apps would really benefit if they extended their reaches. Wow its a great post here, @Qasim Zaib you're amazing bro. keep the hard-work on. thanks for the post. Nice Post...Thank you so much for posting this article. I observe a new feature in your comment section like "Click Here To Add Comment" horizontal button. Can you make a tutorial on how to add this "Click Here To Add Comment" horizontal button? JayRyan'sBlog was inviting you to be a Guest Post Author.. This tutorial is good. Facebook keeps on introducing new features to peoples but i what i recommended is, as the blog visitors here are only bloggers, you must stop using facebook and this saves your waste of time on facebook and even loss of your concentration. This is Fake there is no software to hack Facebook .. please remove this post from your blog .. don't harm people for no reason . be a white hat . Friends Recentally Facebook launch Official Recommendation bar For Website I am having Trick By Which We Can Add it in blogger.You should try it in your blog.